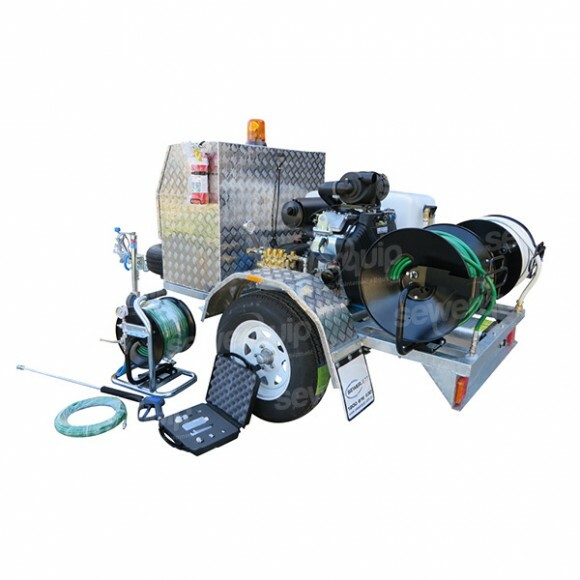 The SEWERJETT MAKO M4V50TB trailer mounted water jetter is designed to be easy to tow and handle and is perfect for plumbers with multible vehicles or if you simply do not have enough room on your vehicle for a water jetter. 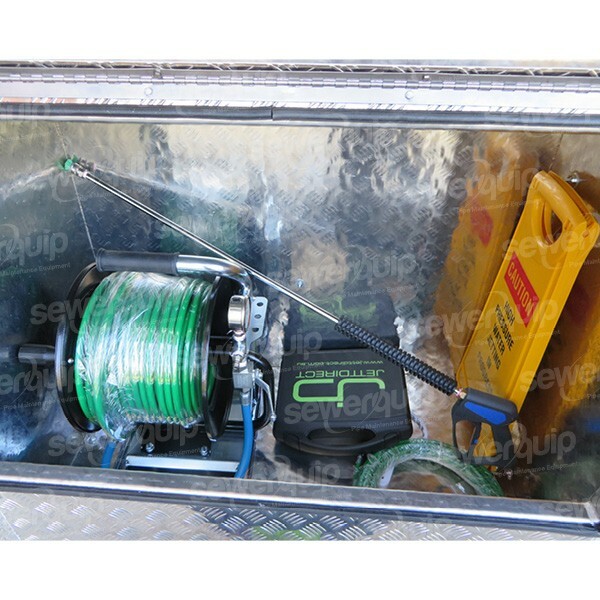 This system has a custom designed chasis with a lockable toolbox to store your water jetting accessories and cctv inspection equipment. 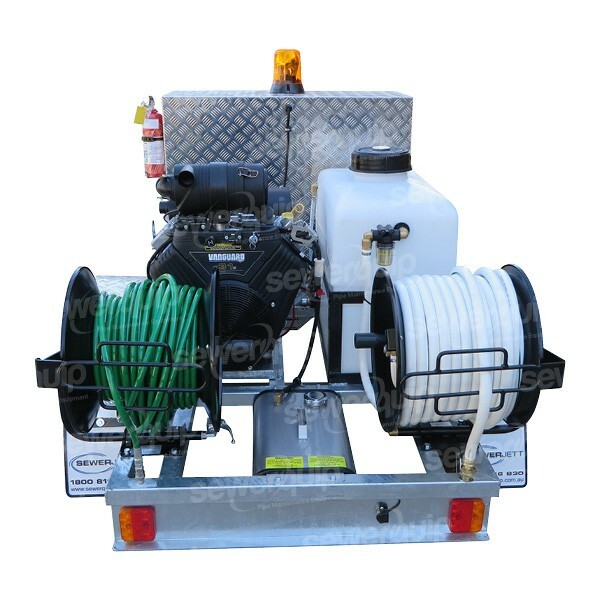 The MAKO M4V150TB water jetters are manufactured in our Sydney warehouse and we ship Australia wide with overnight delivery to most major cities on the east coast like Sydney, Melbourne, Brisbane and the Gold Coast. Reliable Vanguard 31hp v-twin engine. Impressive performance of 31lpm @ 4300psi. 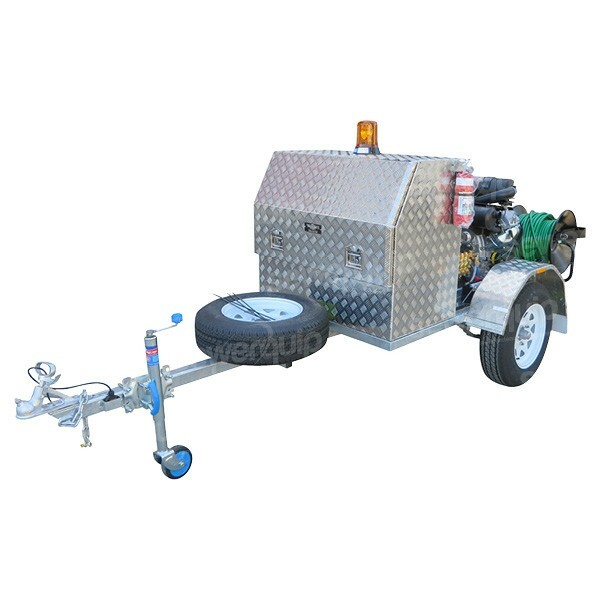 It is ideal for domestic and light commercial work. 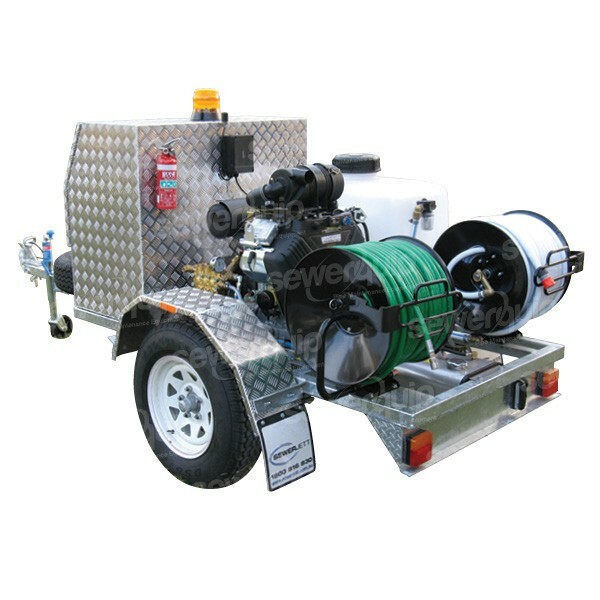 The reliable Bertolini pump fitted with PA valves offers years of reliable operation and is covered by a 3 year - Australia wide warranty. Large inbuilt 150L poly water tank with low water kill switch. 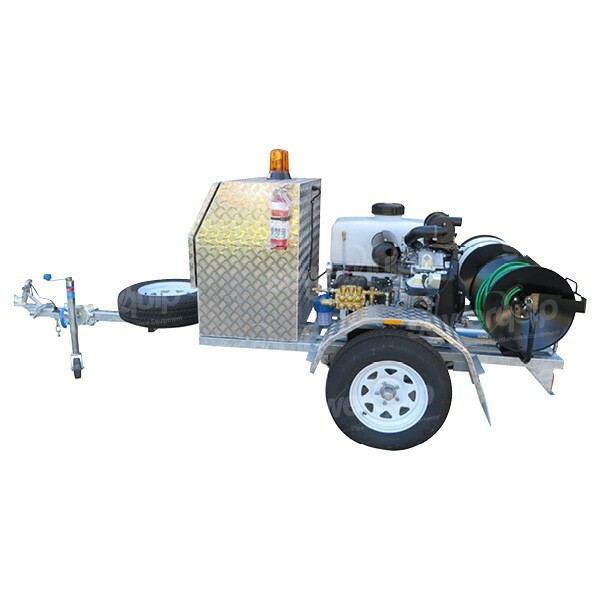 2 x large USA made hose reels fitted with 60m 1/4" Armorflex jetting hose and 26m ¾" ID water feed hose.